But should the CIO really be the head of innovation management..? What is the CIO's future role in relation to innovation? According to the KPMG CIO Survey 2017 “Navigating Uncertainty” 60 % of global CIOs are trying to take responsibility for innovation. And when we research the underlying motivation we start to see the reason why, because according to the KPMG Technology Survey 2017 the areas in which most technological innovation happens today is 1) Internet of Things, 2) robotics, and 3) artificial intelligence. All of these technological innovations land under the responsibility of the CIO, so he will have to prepare for innovation taking place in spaces that are under his jurisdiction. In comparison, according to the KPMG Global Construction Survey 2017 72% of the respondents in the construction industry say that technology, innovation and data will disrupt their industry and plays a prominent role in their strategic vision and plans. So what does ”responsibility for innovation” really mean? Well, with this in mind we understand that the disruption by the information technology era sets an entirely new playfield for the CIOs. Suddenly they are in charge of managing the innovation that takes place around them due to the shift in technological advancement. So as of recently the new responsibility for the CIO include innovation and transformation, where at least one of them that is an entirely new area of expertise for a digital manager. But the big issue is that there is a huge gap in the industry in understanding what innovation is and how it works. 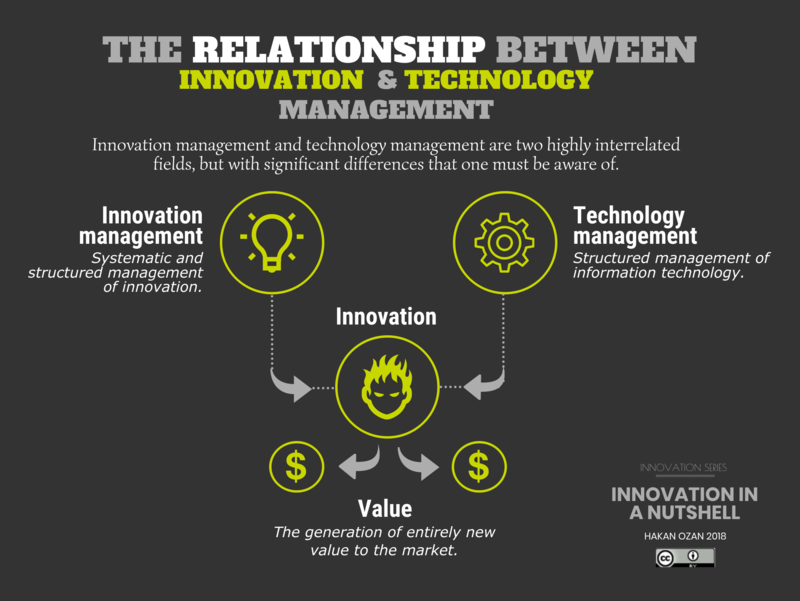 To begin with, now the CIO must recognize the difference between innovation and innovation management. Innovation is the outcome of great ideas conceived from new technology, while innovation management is the systematic process through which innovations are produced. Nowadays innovation management has become a discipline and is an area that is extremely vital for ensuring the success of the CIO’s technological vision. So does this mean that the CIO will have to take charge for innovation management?